Don't expect an in-depth plot, and I'd be shocked if there was enough for Domo to do that a second volume would be required. Nevertheless, Domo appears to be catching on, and, although he's no "Hello Kitty" quite yet, the collect-a-thon of Domo paraphernalia can start right here, right now. Even more frightening is that by the time this review is online, a DVD full of Domo animated shorts will be available through your local 7-11 stores. 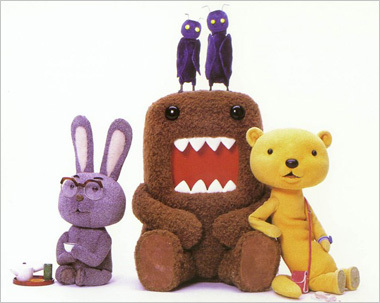 How's *that* for the power of Domo Nation and the sticking power of a simple NHK-TV mascot. Elvira, eat your heart out, Domo is coming to town. Below: A sample page from the Domo manga. However, enjoy this 12 incho Domo-kun plush in the meantime. Excellent for curling up to sleep with while you dream of eating Japanese-style meat and potato stew. Below: Images of Domo Kun. 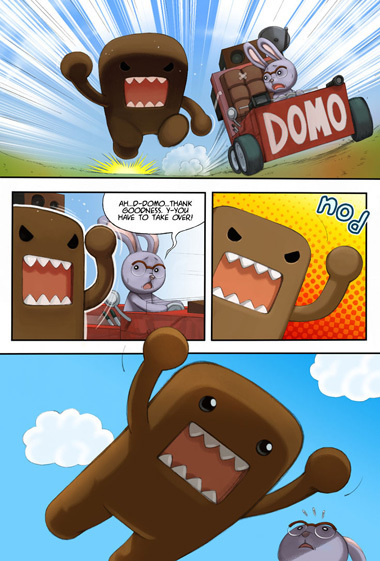 Below: Episode one of Domo Kun. 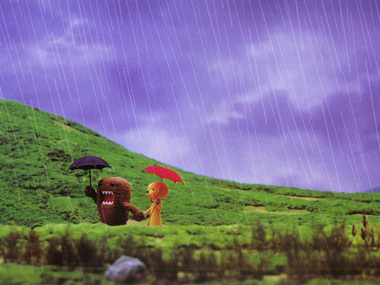 Below: Episode two of Domo Kun. 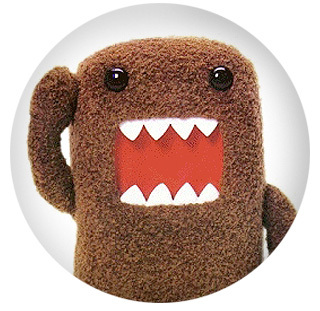 Below: Episode three of Domo Kun. Below: Episode four of Domo Kun.